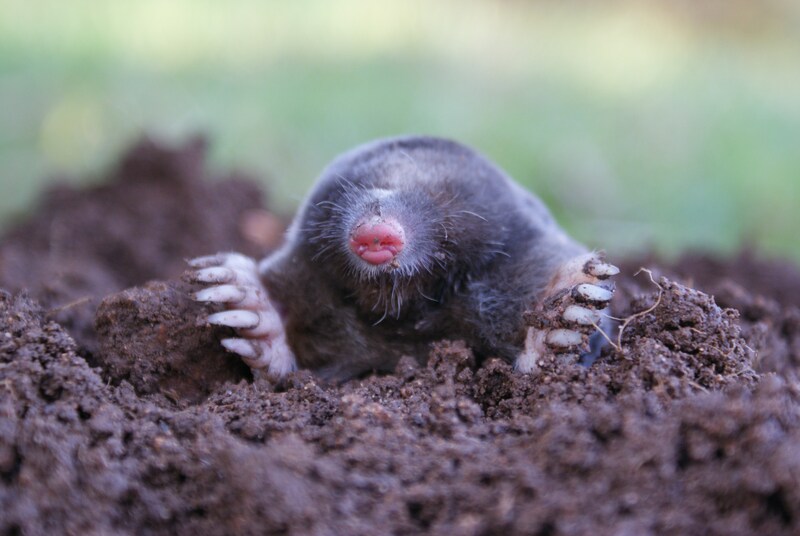 Moles are mammal species that live a hidden, underground lifestyle. 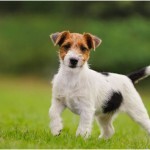 They have round bodies, soft fur, tiny concealed ears and eyes, small hind limbs and strong forelimbs with huge paws that are fitted for digging underground. Due to the complicated tunnel systems made by them, they are popularly known as garden pests. They weigh about 70-120 grams according to the Mammal Society. 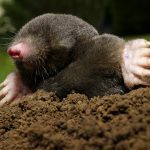 Moles are lonely, solitary animals that spend their whole lives in burrows and tunnels, except during the mating season or when the mother moles take care of their young ones. 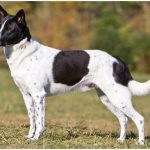 The color of moles varies from black, white, cream, grey, orange to mixed colors. Moles are colorblind and they can barely see, as they spend their whole lives underground. However, they can recognize movement and light. They use their nose sensors to recognize movement and find food. The areas of moles do not usually overlap. Female moles are not territorial and their areas overlap with other female moles areas. On the other hand, if two male moles area overlap, they will fight for their territory till one of them dies. 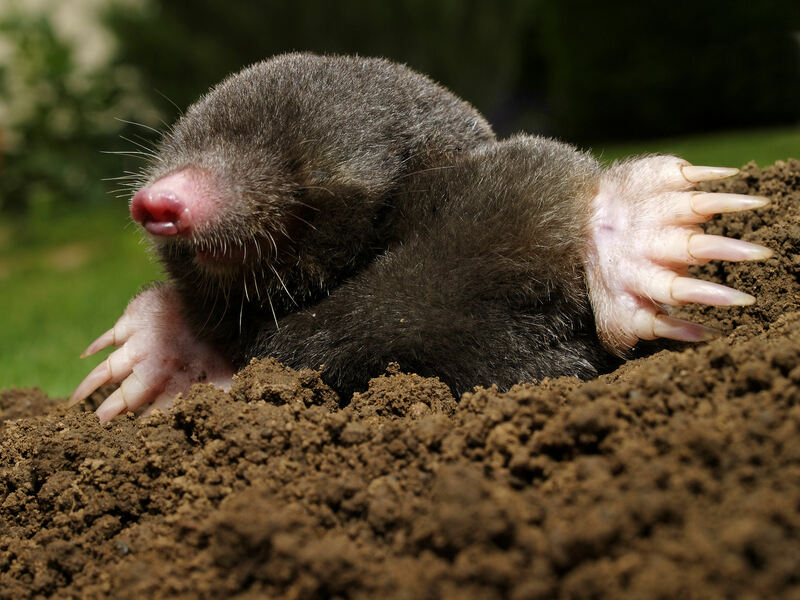 The population density of moles vary from one mole in 6 acres to a maximum of 5 moles in one acre. There are not more than one or two moles in the city lots. 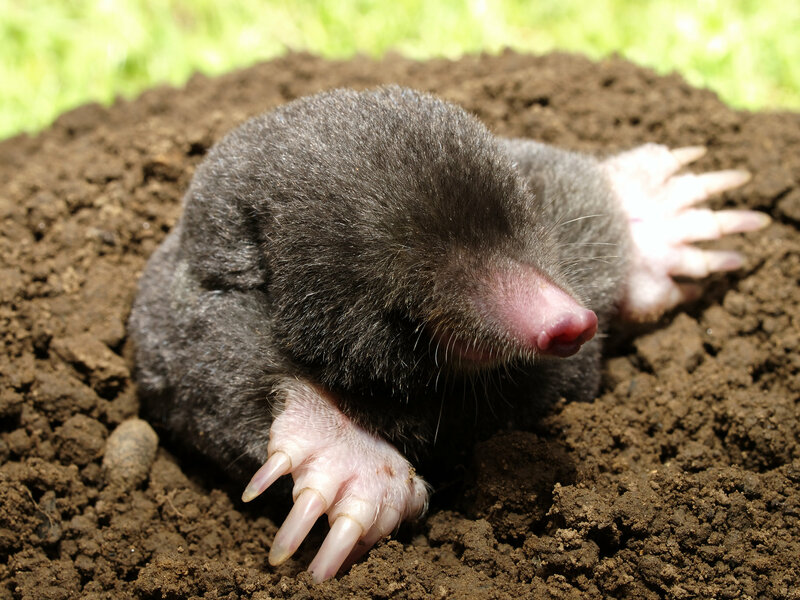 Moles constantly search for food by digging tunnels underground day and night. They continuously operate for a few hours at once and then rest for the same amount of time. They have to eat once every few hours; otherwise, they will die of starvation. They eat slugs, earthworms and beetle larvae found in tunnels while digging. They store earthworms to eat later during rainy seasons when they are abundant. They rip off their head and keep them underground. 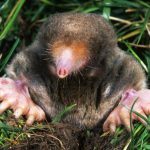 The frontal paws of moles enable them to dig long tunnels underground. They can also run backwards in any tunnel and do a somersault if required. They are not very responsive to sight or smell, but highly susceptible to touch by assimilating vibrations in the ground. Their nose is covered with hair that aids in finding them food and discovering water. During the dry seasons, they come out of the tunnels to collect nesting elements and look for food. Sometimes, moles come out of their tunnels to find new homes when they leave their mother’s nest. They also stay beneath the ground to avoid different predators, such as barn owls and eagles. 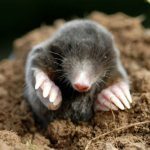 The major food of moles is earthworm and they like it so much that they eat about half of their bodyweight of earthworms everyday if available. Moles also eat larvae, small plants, grass roots, bulbs, seeds, vegetable crops and their roots. 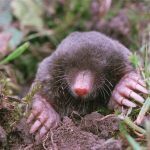 The diet of a mole also consists of centipedes, crickets, millipedes, beetles, snails, termites, grubs, sow bugs and ants. They constantly search for new prey that falls into the tunnels. 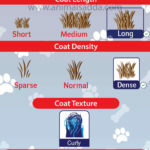 The breeding season of moles starts from March and ends in May. Male moles are popularly known as boar and female moles are known as sow. Female moles construct a bigger tunnel which is almost the size of a football and covers it with grass and leaves with a food store nearby. 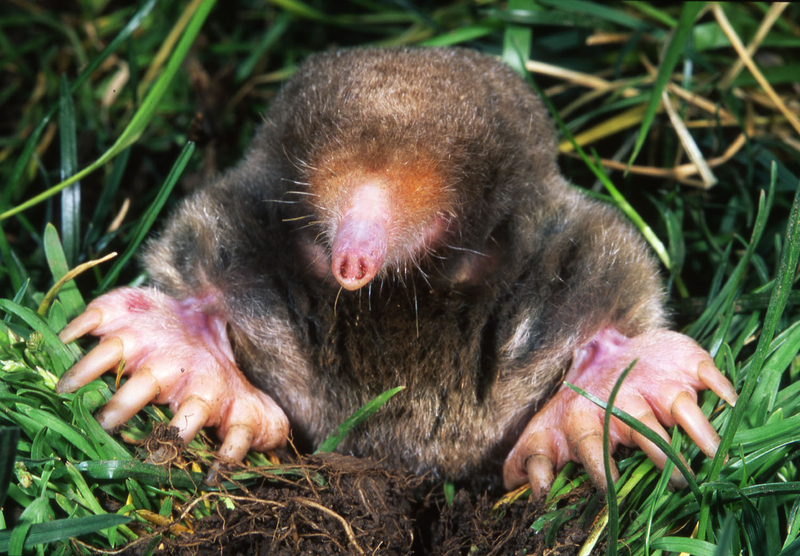 Moles have a gestation period of 30 days after which 3-8 young hairless moles are born. They start having fur once they turn 2 weeks old. After 3 weeks, they open their eyes. These young ones feed on mother’s milk to grow fast and leave the nest in about 30 days. Once mature, they move out of the tunnels to look for their own area and start digging their tunnels and burrows. Moles are available in every continent except South America and Antarctica. 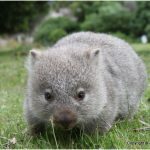 They live in areas which have abundant of soil so that they can dig their burrows and tunnels. 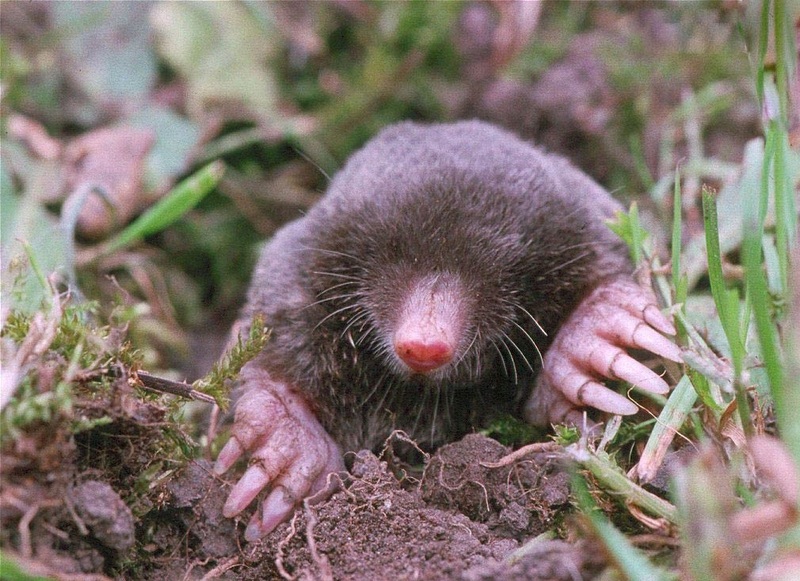 Grasslands, mixed woodlands, urban areas and sand dunes are mainly where moles are found. They stay away from mountainous areas and places that have acidic soil. 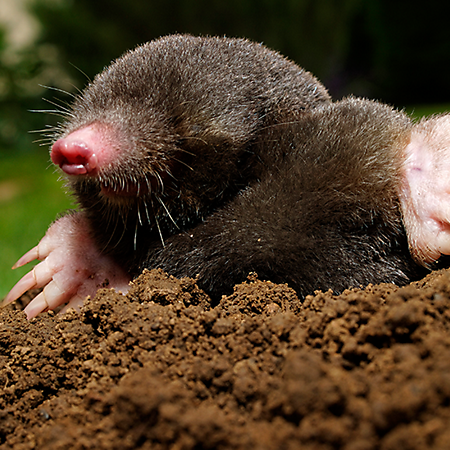 Tunnels serve as underground roadways for moles where they build nesting chambers for giving birth to the young ones. They find food while digging the tunnels and save them for later. 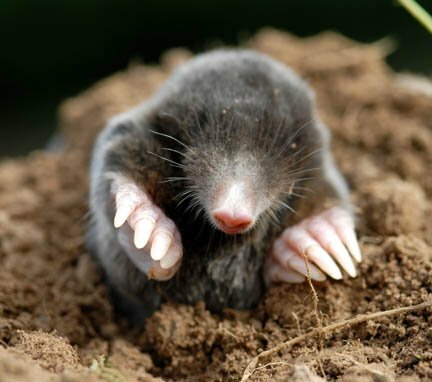 Most of the time, the whole life of a mole is spent in building a series of tunnels for the coming generations. They store earthworms in their chambers by ripping their heads off. These chambers are known as kitchens. The Mammal Society has found a chamber consisting 450 earthworms at a time. 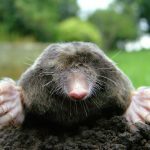 Moles become prey to snakes, owls and hawks when they come out at night from the tunnels in search of food, new territories and nesting material. They are slow on the surface due to their body structure. Due to the underground lifestyle, they impart a strong, pungent odor because of which they are inedible for many animals. However, coyotes and raccoons still eat them. 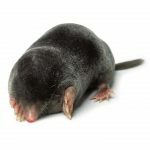 Most of the young moles are killed during floods in the spring season. A mole’s life is about 4-6 years on average. 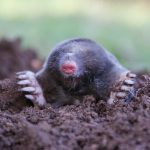 Most humans consider moles as agricultural pests and take necessary measures to get rid of them. They contaminate soil to a great extent, thus making it unlivable for cattle and livestock. For this reason, they are killed by humans. They also cause damage to agricultural machinery by damaging water routes and drainage systems. They harm most parts of lawns through making tunnels. 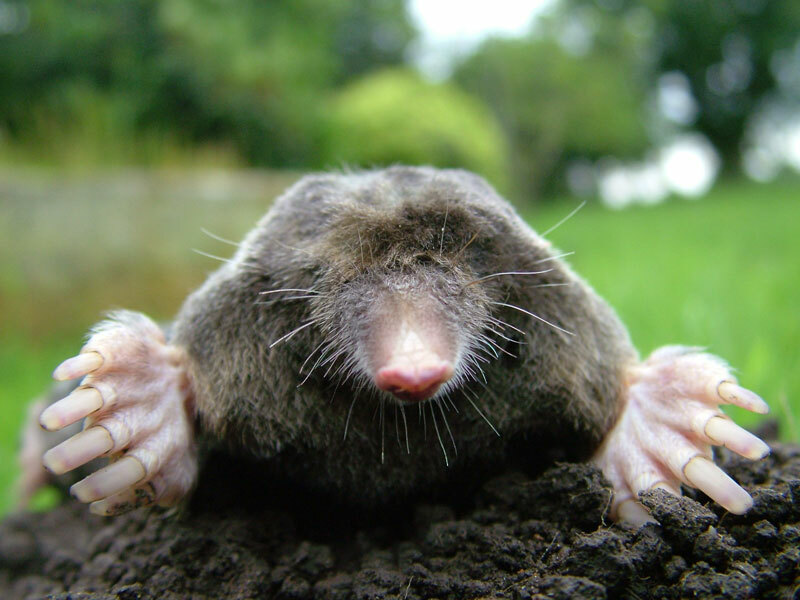 Humans hire mole catchers who use smoke bombs and poisons to kill moles. Sometimes, people even torch their burrows to get them out of there along with cat litter and blood meal. 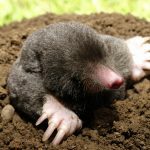 A benefit of tunneling of moles is that it helps mixing the nutrients of soil, thus improving soil aeration and drainage. 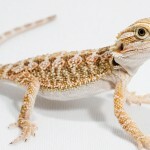 They help humans by eating garden pests and larvae that spoil the gardens.